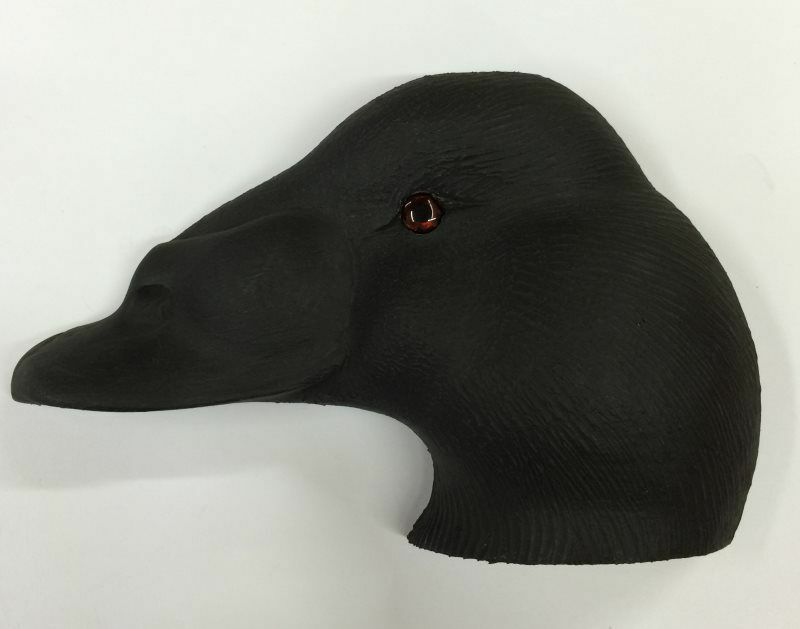 Universal Gale Force Series diver head as used on various Gale Force decoys. 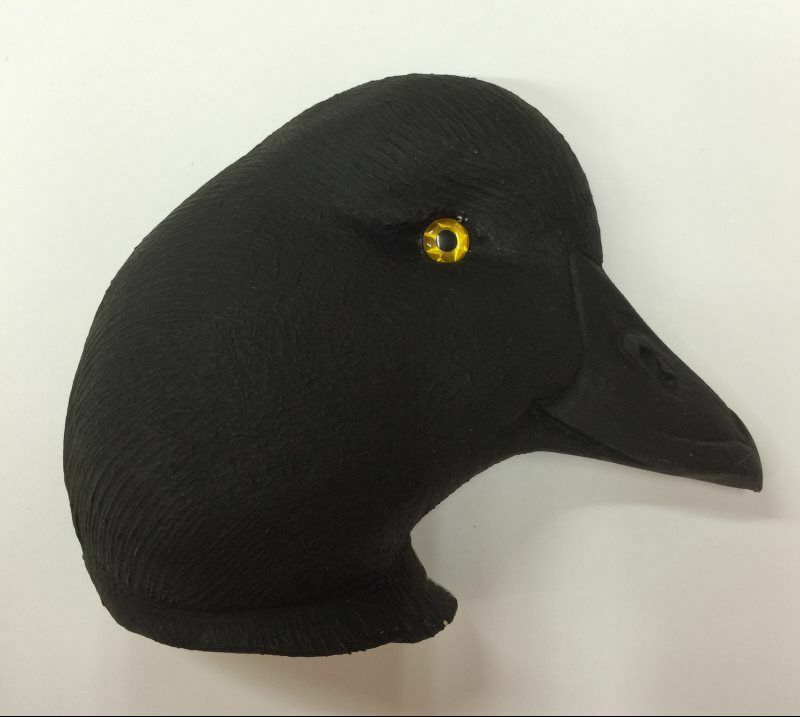 Gale Force Series head as used on Gale Force decoys. Expected Inventory Avalible week of 7/24/2017! 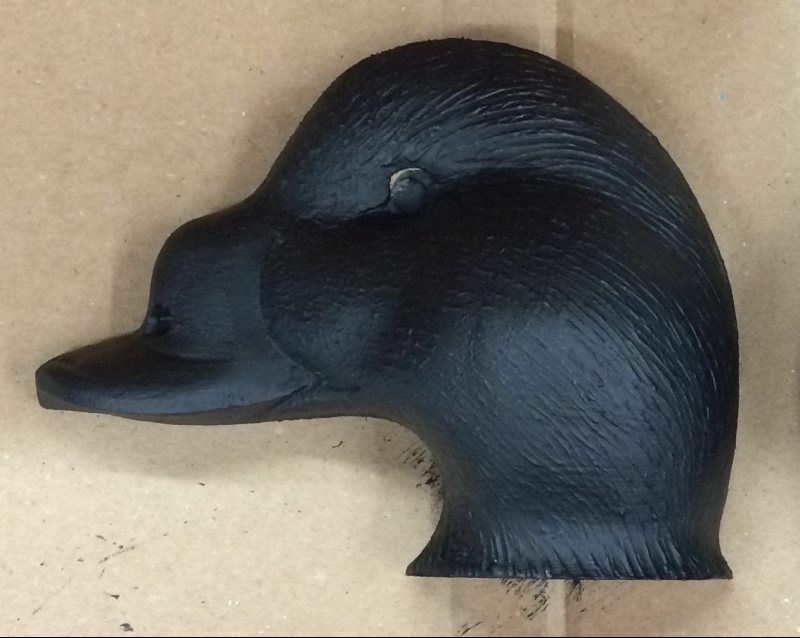 Use for making your custom Mallard, Blackduck, Gadwall Decoy. Fits 72 Herter Sized Bodies. Includes lifelike eyes: Brown Color. Easy to mount - screw directily into head anywhere-no cabnet screw insert required. Solid strong head - no big air pockets or voids to limit structural integrity. Made with patent pending NautXcell Technology. 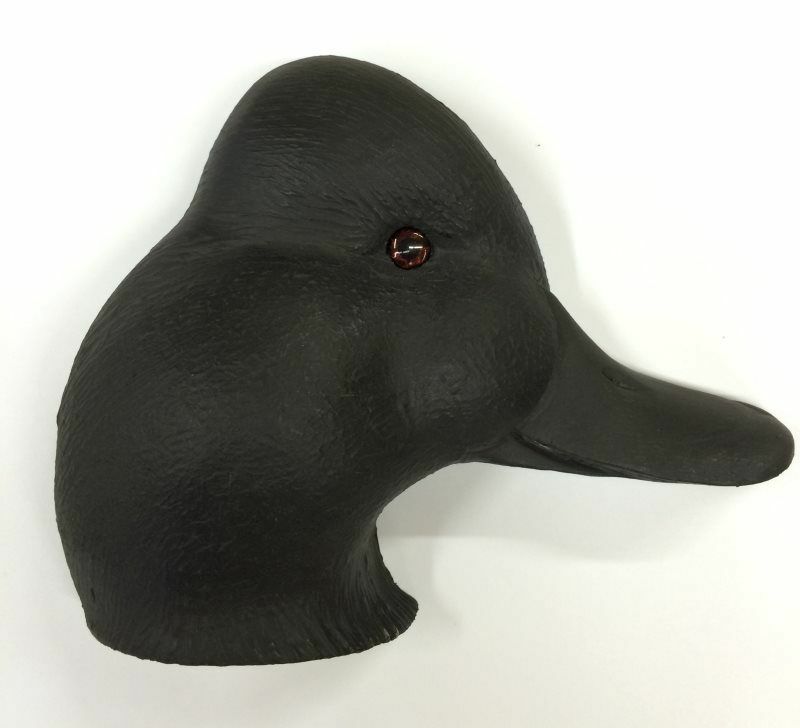 Use for making your custom Mallard, Blackduck, Gadwall Decoys. Easy to mount & Easy to paint. Screw directily into head anywhere-no cabnet screw insert required. 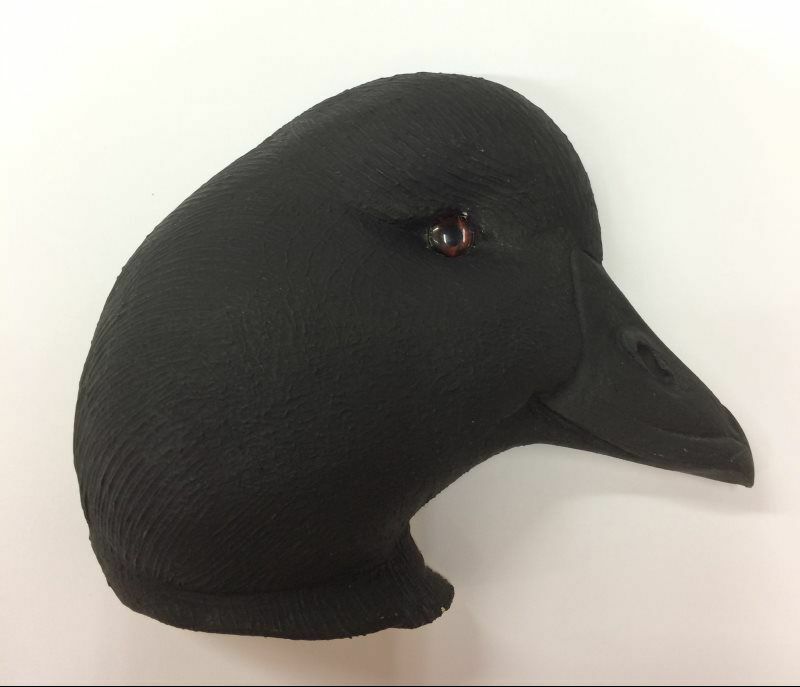 We are now able to offer blank replacement decoy heads at rock bottom prices due to our new manufacturing process!!! 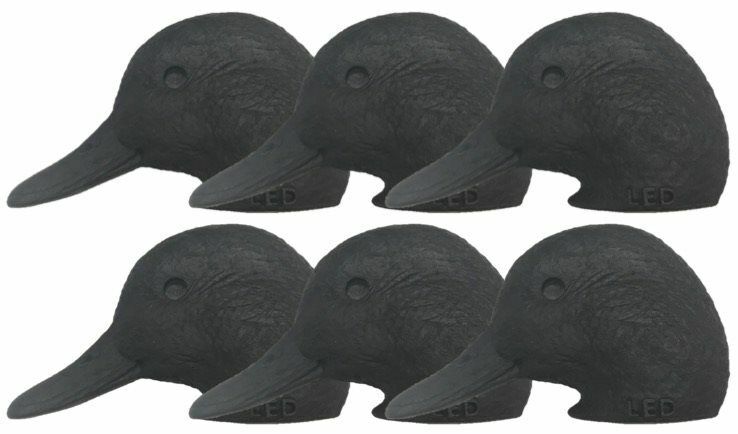 Looking for the right replacement heads for your next DIY custom decoy project can be frustrating. Some competitors claim to be the toughest on the market. 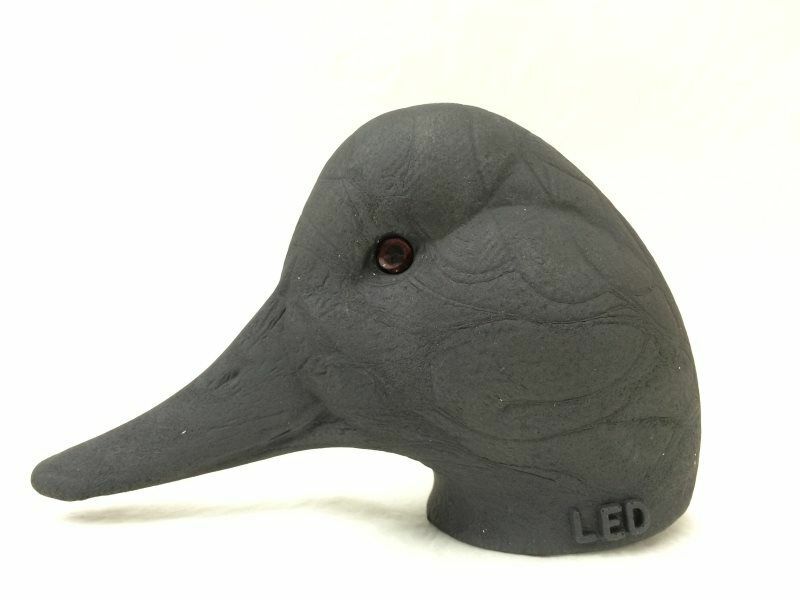 Only the LED replacement heads are proven time and time again to hold up and withstand the abuse that waterfowlers can put on their equipment. 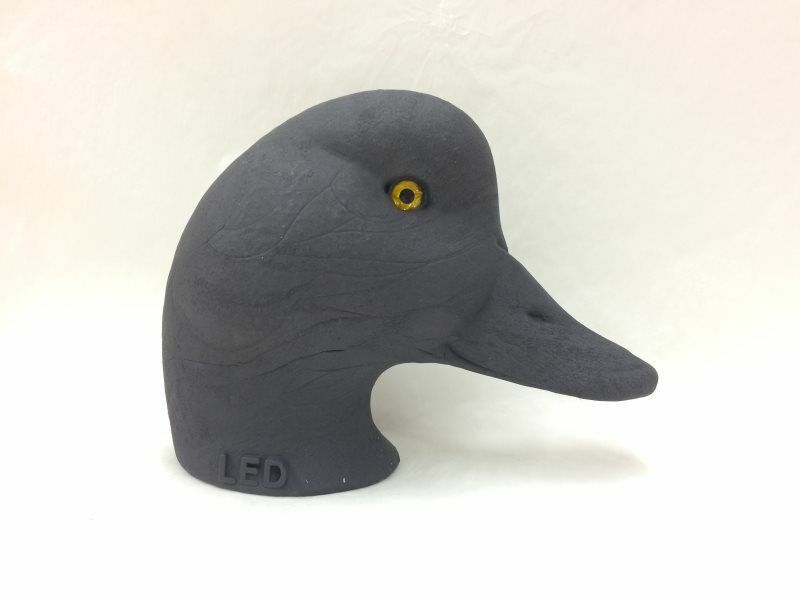 LED produces the only solid-lightweight replacement plastic decoy head of its kind on the market and is guaranteed not to break or your money back. With recent advancements in technology LED is able to produce the LED replacement heads utilizing the new patent pending NautXcell Technology which is also used to make the Gale Force decoy bodies. The LED Gale Force Series replacement heads are designed for magnum decoy bodies. Heads will come with pre-epoxy backed synthetic eyes that can be inserted after the heads are painted. No special cabinet insert is required to attach a LED head to your decoy body, just predrill a small diameter pilot hole about 2 inches up through bottom of head, then screw in your eye bolt. 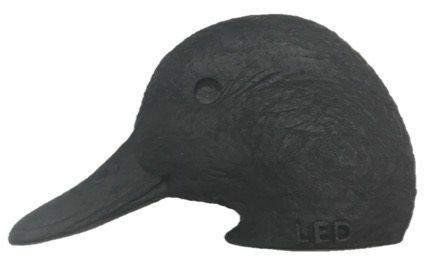 Because the replacement heads are solid, the structural stability of the bolt threads is maximized, ensuring the head doesn't come off your decoy body.